Power up everything from your vehicles and boats to golf carts and cell phones with a wide variety of quality products from our battery dealers, with locations in Augusta, Savannah and Milledgeville, Georgia. In addition to selling retail and wholesale, Battery Warehouse also buys junk batteries. 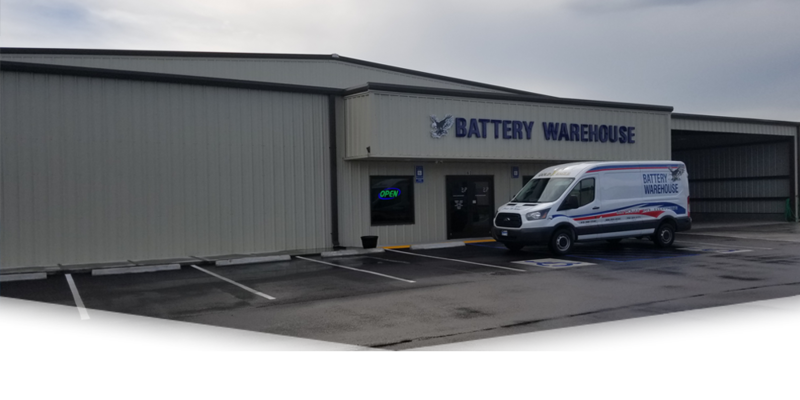 At Battery Warehouse we strive to meet our customers need by providing the highest level of customer service and support. We stand behind our products and work with you to meet all of you battery demands. Now in our 3rd generation, Battery Warehouse has been serving the battery needs of central Georgia and Augusta areas for over 50 years. We carry a complete line of top brand Automotive and Commercial batteries, Marine & RV deep cycle batteries, Golf Cart & Floor Sweeper batteries as well as Power Sport, Lawn & Garden, and Specialty Batteries. We even BUY old junk batteries!